For Cement in Dartmouth, Kingsbridge, Salcombe and Totnes in the South Hams in Devon. 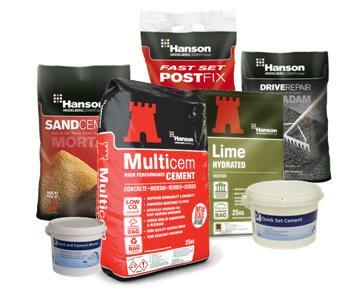 Hanson Performance Cement, Lime, Morter, Ready Mixed Compounds and Tarmac Repair. Order in store or online for FREE Local Delivery.